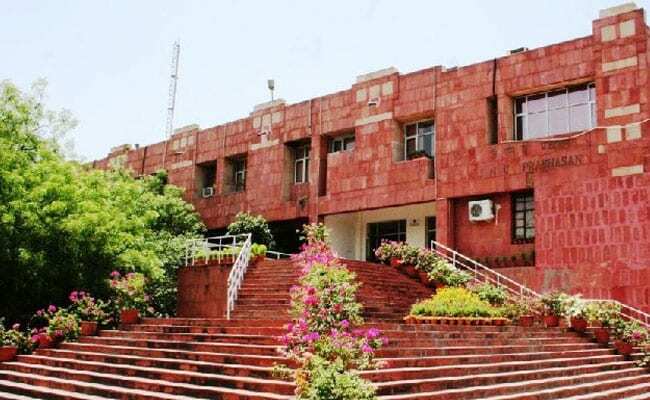 Jawahar Lal University (JNU) professor and the winner of Infosys Prize 2018 Kavita Singh landed here, only to get to know that her leave application to attend the award ceremony was rejected by the JNU vice-chancellor. Reacting to the development, she said things at the university were “comically bad”. Singh got to know about the rejection of her leave application only after she landed in Bengaluru to attend the event organised by the Infosys Science Foundation (ISF). She received the award on Saturday night. Speaking after receiving the award, Singh thanked the JNU, where she has been teaching for 17 years, and said until recently, it was “a very congenial and supportive place”. “We never had much money or facilities, but we had excellent colleagues and academic freedom. Today, things are bad; things are comically bad in my institutional home. “How bad you may ask? After I came to Bengaluru, I checked my e-mail and found that the leave application I had put in to come here and receive the award had been rejected by my vice-chancellor. So please be warned that my presence on this stage today is illegitimate,” she said. Singh is a professor and the Dean of the School of Arts and Aesthetics at the JNU in New Delhi. She received the Infosys Science Prize for her study of Mughal, Rajput and Deccan art. Singh’s work shows the significance of museums in highlighting the social impact of art and thereby, relates visual culture to large contemporary questions of secularity, modernity and political conflict. The ISF honoured six eminent professors for winning the Infosys Prize 2018 across different categories of science and research at an awards ceremony here on Saturday night, while also celebrating its 10th-year milestone. The annual award includes a pure gold medal, a citation and a prize purse worth USD 100,000 (or its equivalent in Indian rupees). A six-member jury of renowned scientists and professors selected the winners from 244 nominations received in six categories.